THOMASVILLE, Ga. (March 26, 2018) – Thomas University baseball defeated Florida National, 20-7, in game one on Friday afternoon. TU won the second game, 3-2, and in the final game of the series TU down FNU 12-2, the Conquistadors are now 9-18 overall this season. 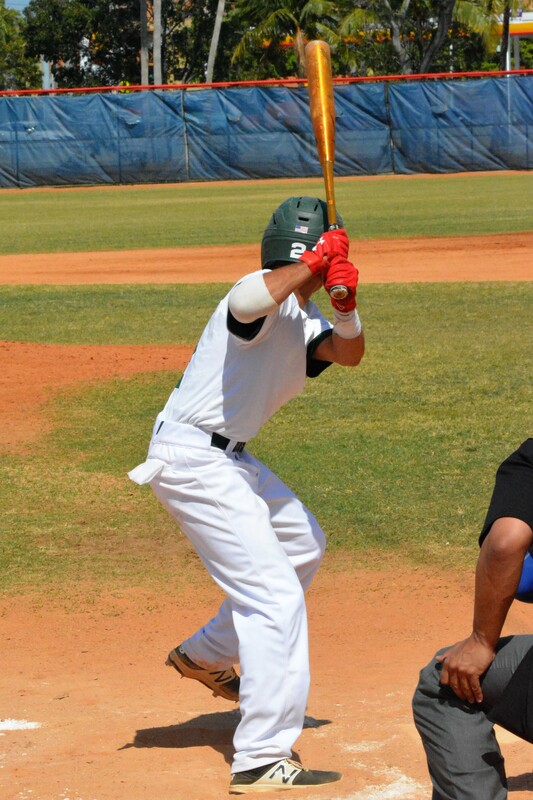 FNU came out strong and scored three in the first inning, then TU matched in the bottom of the frame. After a scoreless second, FNU plated two in the third, and Thomas answered with eight in the bottom of the inning. Florida National scored one in the fourth, TU added two more, then FNU scored its final run in the fifth, while Thomas went on to score seven more in the sixth. FNU scored two runs from one hit and a TU error in the third. Then Thomas exploded for eight runs from four hits and an error. After the Conquistadors scored one in the fourth, Thomas scored two more runs from one hit and two errors. Petrey hit a leadoff double and advanced to third on a wild pitch. Boyette drew a walk, stole second, advanced to third on an error by the catcher and scored on an error by the centerfielder. Petrey also scored on the error. FNU added one more run in the fifth inning, then TU exploded again for seven runs from five hits. Thomas struck first in game two, scoring one in the second inning. FNU responded with two in the third to take the lead, but Thomas scored a pair of runs in the fifth to earn the 3-2 victory. Petrey’s leadoff homer in the second inning put Thomas on the board first, but FNU also hit a leadoff homer then back-to-back doubles plated their second run of the third inning. In the bottom of the fifth, Hinson drew a one-out walk, then Melo reached on an error. Westbrook singled to plate Hinson; then Young sent a sac fly to right field to score Melo. Florida National scored both of its runs in the first inning, then held TU scoreless for a pair of innings. Thomas scored one in the third and one in the fourth to tie the game. The Night Hawks scored four in the fifth, a trio in the sixth and three more in the seventh. FNU had three hits to score two runs in the first. Hinson hit a two-out single in the third, stole second and advanced to third on an error. Melo drew a walk, then Westbrook singled to drive in TU’s first run. Hinson reached on a base hit, then Melo homered to open the sixth. Westbrook then had a base hit and advanced to second on a wild pitch in time for Young to drive him in. Three straight one-out base hits from Webb, Hinson, and Melo loaded the bases for the Night Hawks. Trent Miller then reached on an error, a pitch and Petrey hit young singled to score a run on each play. What’s next for the Conquistadores? Tuesday the Conquistadors will travel to Ave Maria for a doubleheader.